Hannover/Mexico City. 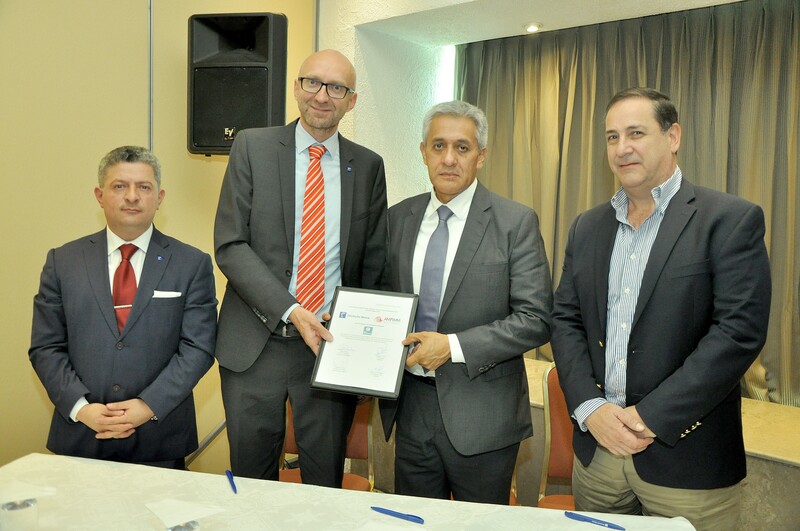 On 7 November the Mexican association of wood and furniture industry suppliers AMPIMM (Asociación Mexicana de Proveedores de la Industria Maderera y Mueblera A.C.) and the exhibition company Hannover Fairs México announced the signing of a long-term cooperation agreement for the joint staging of MagnaExpoMueblera. The announcement was made in Mexico City. The agreement takes effect in time for the upcoming MagnaExpoMueblera, which runs from 16 to 18 January 2019 at the Centro Citibanamex in Mexico City. At the contract signing on Wednesday, Alejandro Tena, President of the Mexican association’s executive council, and Bernd Rohde, Managing Director of Hannover Fairs México, a subsidiary of the Hannover-based Deutsche Messe group of companies, confirmed their intention to jointly strengthen the Mexican wood and furniture industry. “This makes our show the main supplier event for these sectors in Mexico,” stated Christian Pfeiffer, Global Director of LIGNA and Woodworking Events at Deutsche Messe. The AMPIMM trade fair, originally scheduled for June 2019, will no longer take place, instead becoming part of MagnaExpoMueblera as of January 2019. The new strategic alliance provides trade fair attendees with a comprehensive range of woodworking machines, tools and accessories for mass and individual production, including the production of fittings, accessories and materials. The portfolio includes wood-based panel production and sawmill technology, office furniture, bedroom and upholstered furniture as well as fabrics and accessories. MagnaExpoMueblera takes place annually in Mexico City and celebrates its 25th anniversary in 2019. More than 70 companies have already registered, including numerous market leaders like Weinig, SCM, Altendorf and Jowat. The Mexican association AMPIMM was founded in 2002. It represents both importers and resellers of components, raw materials and machines as well as service providers from the wood and furniture industry. AMPIMM brings together Mexico’s supplier industry, providing representation and information services as well as training and further education opportunities for its members. Based in Mexico City, Hannover Fairs México was founded in 2006. It is a wholly-owned subsidiary of the Hannover-based Deutsche Messe group of companies and organizes MagnaExpoMueblera and other trade fairs such as Solar Power Mexico and Industrial Transformation MEXICO.